Amanda & Joel’s Modern Rustic Wedding Featured on Style Me Pretty! Yay! 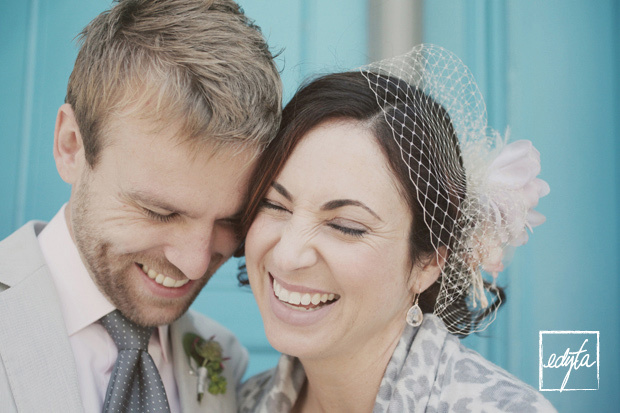 So exciting to wake up this morning and see my lovely couple’s wedding on Style Me Pretty! SUPER big thanks to all the vendors involved and an even BIGGER thanks to Adie of Twin Town Studios for being my second photographer for the bash. (Springfieldians if you’re looking for fresh and unique photos she’s your gal). Check out the link above for the full feature and let them know your thoughts! Rustic, Vintage Wedding Ideas Featured on Green Wedding Shoes! Featured on The Knot TV! DIY Scratch-Off Save the Dates! While traveling a few days ago, I had some time to catch up on my favorite reading: Martha Stewart Weddings! 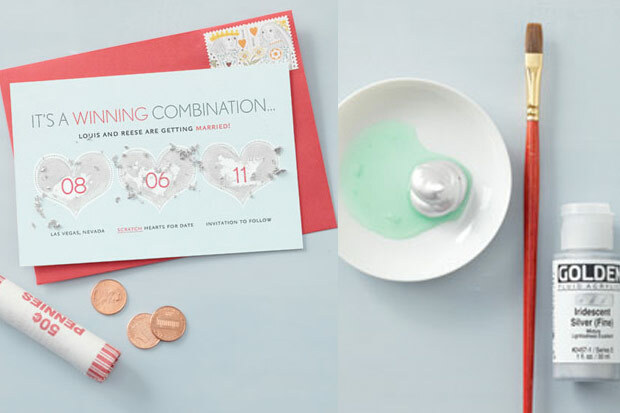 How adorable is this scratch-off save the date? 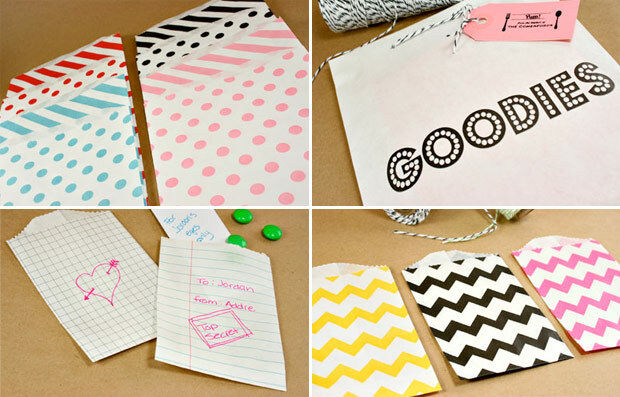 So easy, brilliant really, and would be perfect for an invitation as well! Oh MS craft team, how genius you are. See the how-to instructions at the link above. Need I say more?! How adorable are these paper bags for a party or wedding favor! I know Whisker Graphics well from their charming and striped Divine Twine. And I’m so excited that they’ve added more packaging goodies for us to all drool over! Be sure to take advantage of this pop-up sale over at 100 Layer Cake to buy all the Whisker Graphics goodies mentioned above. DIY Valentine’s Day Brownie Bags from Twig & Thistle! Amazing typography/font, check. Punch of earthy color, check. Ceramic texture, check. 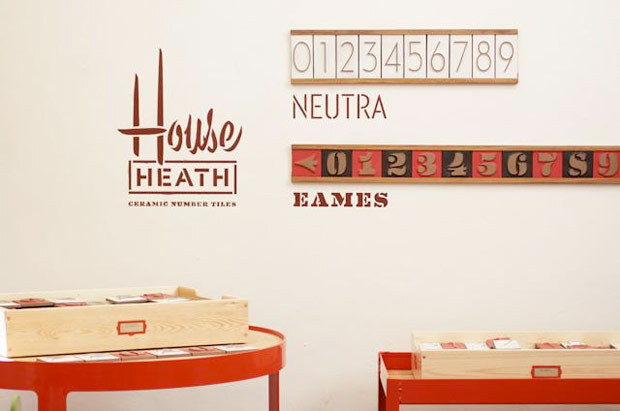 What’s there not to love about Heath’s new ceramic house numbers. I’m sold, obsessed and need. These could be purchased before my first house! I’m also loving the use of ceramic tiles and house numbers as wedding table numbers. See example from one of my weddings here! 100 Layer Cake’s DIY Tin Table Numbers! Heath Ceramics Wedding Lounge 2010 – Sausalito – Come See Us! Apartment Therapy San Francisco House Tour! Baby Portraits – Meet Pippa and Her Family! Baby Portraits of Nina & Her Family! Baby Portraits – Meet Emilie! Baby/Kid Portraits of Brody, Sophia & Their Family! Baby Portraits of Kai & His Family! 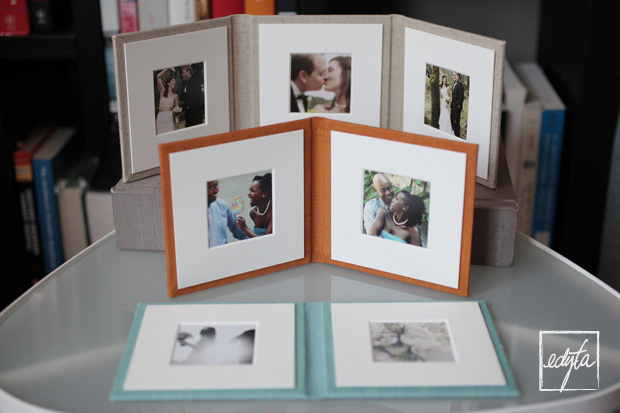 Wedding & Parent Brag Folios! Renegade Craft Fair – San Francisco 2009! 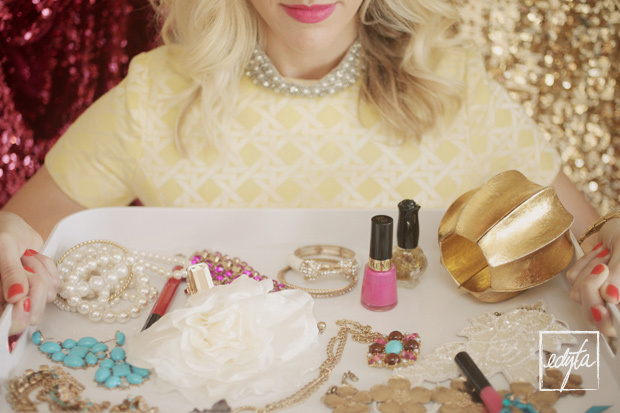 Kate Spade Inspired Q & A Style Shoot Featured on 100 Layer Cake!